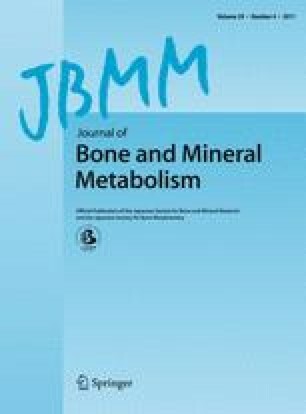 The aim of the present study was to examine whether a holistic approach combining nutrition and lifestyle counselling with the consumption of milk and yoghurt enriched with calcium, vitamin D3 and phylloquinone (vitamin K1) or menaquinone (vitamin K2) would have any additional benefit on bone mineral density (BMD) indices measured at various skeletal sites using two different techniques, dual energy X-ray absorptiometry and quantitative ultrasonography (QUS). A sample of 115 postmenopausal women were randomized to three intervention groups, receiving daily via fortified milk and yoghurt and for 12 months, 800 mg calcium and 10 μg vitamin D3 (CaD group, n = 26); 800 mg calcium, 10 μg vitamin D3 and 100 μg vitamin K1 (CaDK1 group, n = 26); 800 mg calcium, 10 μg vitamin D3 and 100 μg vitamin K2 (CaDK2 group, n = 24); and a control group (CO group, n = 39) following their usual diet. All three intervention groups attended biweekly nutrition and lifestyle counselling sessions. Total BMD significantly increased in all three intervention groups and these changes were significantly higher compared to the CO (P < 0.001). Furthermore, the significant increases observed for L2–L4 BMD in the CaDK1 and CaDK2 groups were found to be significantly higher compared to the decrease observed in the CO (P = 0.001). No significant differences were observed for QUS parameters. The combined approach used in the current study led to favourable changes for all three intervention groups in total body BMD, while an additional benefit was observed for L2–L4 BMD in CaDK1 and CaDK2 groups. No significant differences were observed among groups in any of the QUS parameters. All authors contributed in the study design, writing and revising the manuscript; GM, SK and YM were responsible for data collection, management and statistical analyses. The study was supported by a research grant from FrieslandCampina BV. The authors would like to thank Anastasia Vandorou, Katerina Kyriakou, Vasiliki Dede, Odysseas Androutsos, Konstantina Maragkopoulou, Efstathoula Argyri, Angeliki Giannopoulou, dieticians, for their valuable contribution in data collection and processing. YM also works as a part-time science and nutrition consultant for FrieslandCampina Hellas. AS also works as a cluser leader Nutrition for FrieslandCampina BV. The study sponsor had no role in the collection and analysis of the data, the writing of the manuscript, and the submission of the paper. None of the other authors had any potential conflict of interest.